The music of Candee Land is referred to in the stage directions of the play. You may substitute other music for your prodution, but if you would like to license the authentic music in your production, please contact Stephen about arranging a licensing agreement. I am in contact with Candee. 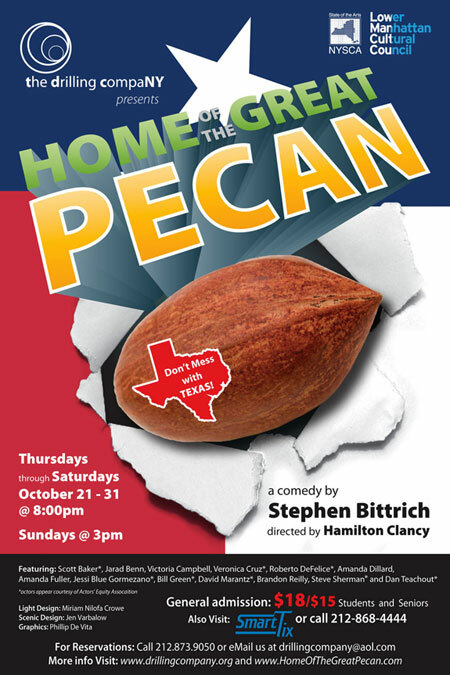 Another song in the play is written by David Marantz (from the original production). You may substitute your own tune for the song, or contact me for licensing Dave's music. 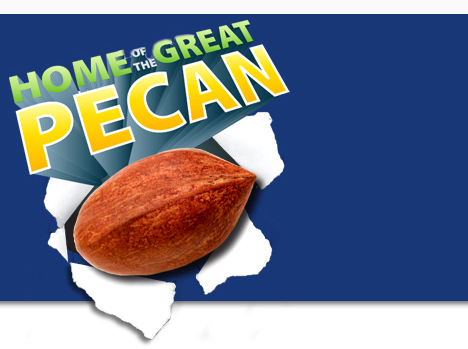 The beautiful graphic of the pecan bursting through the page and 3D lettering was created by artist, Phillip DeVita. If you are interested in using this art for your production, please contact BPPI.